A beautiful start to our first full day on the mountain! Team Shields/Crests – Represent Your Why! 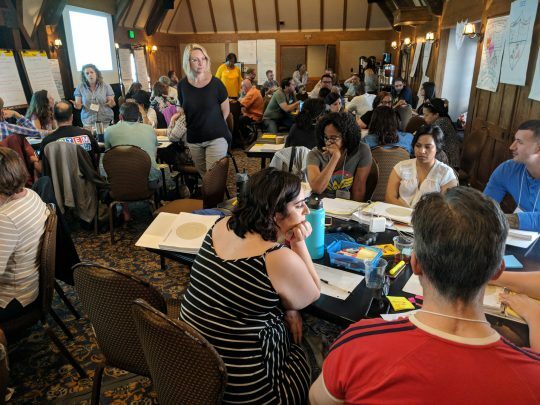 As a team, colleges developed their shared understanding, their shared mission, and created a “college crest/shield” that represents that work, and the crest game was strong! San Diego Continuing Ed. 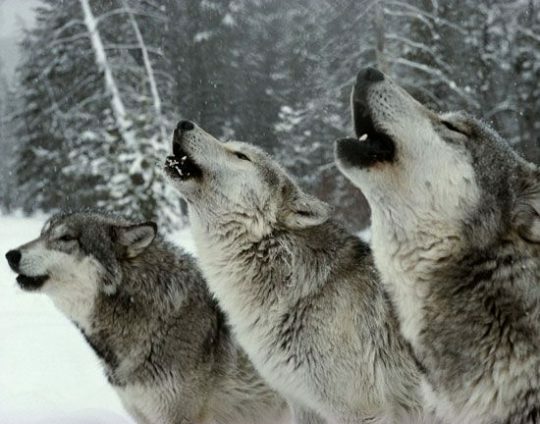 : the wolf pack. Work collaboratively for a stronger group. Oooowwwwwww! 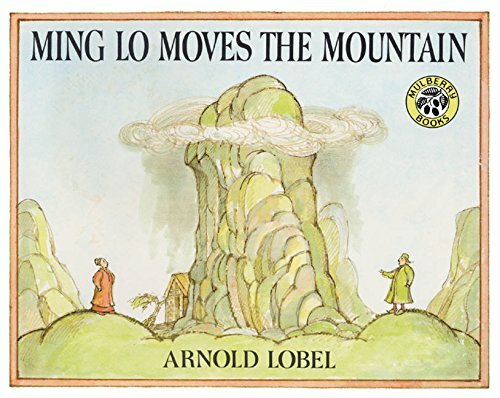 To help develop a shared understanding for Guided Pathways, Chaffey College is using the children’s book Ming Lo Moves the Mountain. What do we know about how people learn, and how do we transform our institutions to reflect that understanding? How do we authentically engage all stakeholders and collaborate across siloes? Traditionally, we spend more time planning and acting than building relationships. However, this means that efforts are not often maintained in the long run. 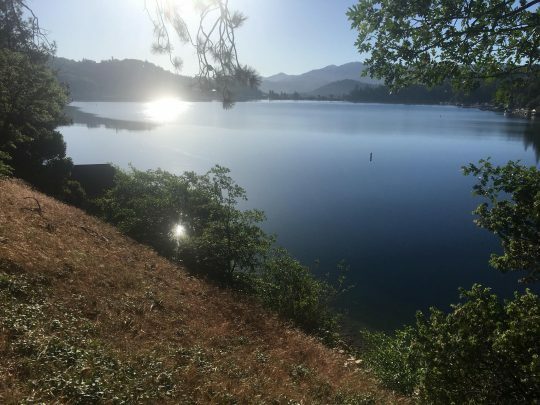 Through Appreciative Inquiry (AI) it becomes clear that building relationships is fundamental to long-term change, and we should be spending most of our time on relationships. 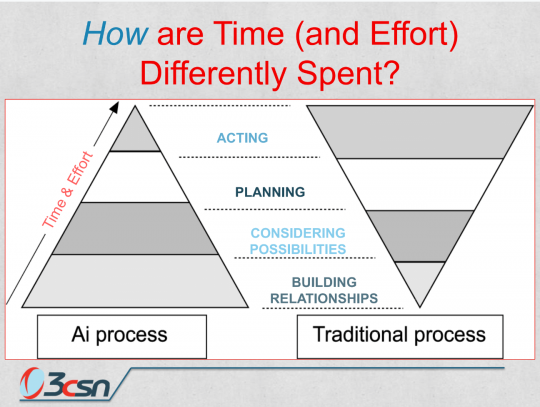 This then helps effect transformational change, making planning and action take less time and effort. Traditional processes often have change effort priorities flipped, under serving areas that are vital to sustainable and transformational change. Organizations are, first and foremost, centers of human relatedness, and relationships come alive where there is an appreciative eye, when people see the best in one another and the whole, when they share their dreams and ultimate concerns in affirming ways, and when they are connected in full voice to create not just new worlds, but better worlds. By making it possible for every voice to be heard, a life giving process is enacted. — from The Appreciative Organization by Harlene Anderson, David Cooperrider, et. al. Looking at the shared inquiry questions, participants reflected on their own knowledge and inquiry questions around each of the three focal points. 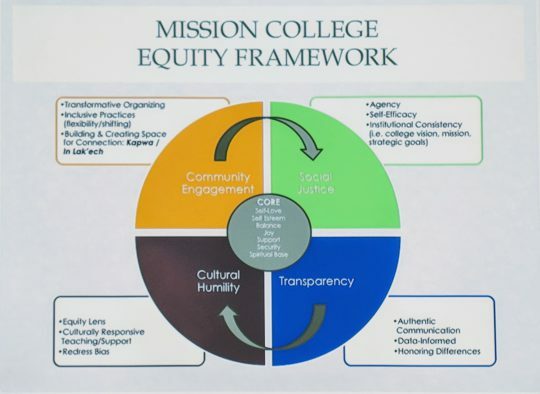 One point made was that our most meaningful moments of engagement with other faculty is at the “water cooler.” This is a growing point of inquiry for many faculty members. How do we create meaningful interactions with our peers that foster learning? This piece from The Chronicle of Higher Education is a recent reflection on that question. 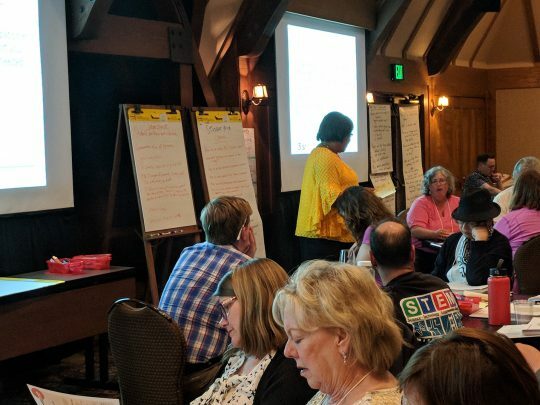 After about 2 hour breakout groups, participants dove into one of those key inquiry questions and interacted with key texts around that question. 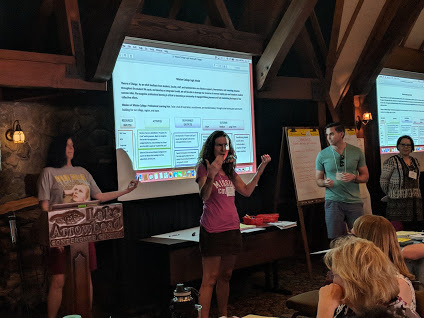 During the discussion, groups identified knowledge they have around that question (what we know) and further points of inquiry and opportunities for learning (what we need to know). As human experiences that evolve over time, communities and networks have stories – how they started, what has happened since, what participants are trying to achieve. It is in the context of these narratives that one can appreciate what learning is taking place (or not) and what value is created (or not). These narratives are comprised of two pieces: the ground narrative and the aspirational narrative. It is the “the tension between these two narratives creates a space for learning and for deciding what is worth learning” (17). Illustration of the tension between the two narratives. The danger of community is that it can become hostage to its history, its established ways of doing things, and the attendant identification with the group. 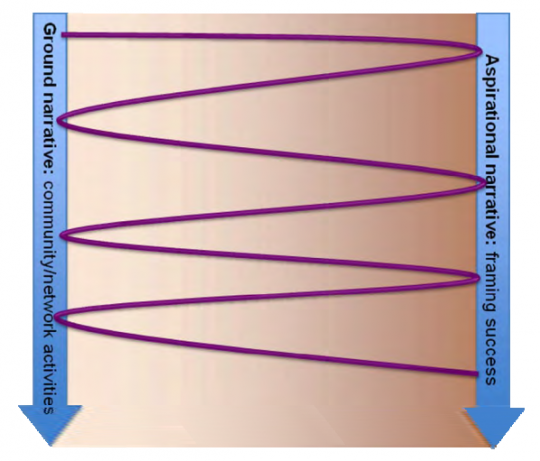 When that happens, communities can become closed and inward-focused; boundaries stiff and impermeable; and past successes a blinder to new possibilities. The danger of network is noise and diffusion. Connectivity as a learning resource has its price. Expanding connectivity increases the chance of useful access, but it also increases the level of “noise.” And while networking does not require a commitment to a communal domain, it does require maintenance of connections and the ability to distinguish between significance and noise. 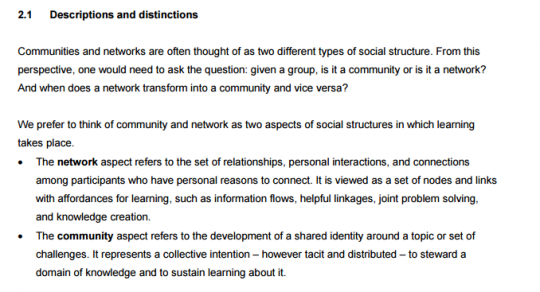 At the collective level, the strength of networks in enabling serendipity and emergent behaviors has a flipside: the absence of collective intention and identity makes it more difficult to steward a domain systematically. When connections remain largely local important insights can remain hidden because there is no intention to recognize and negotiate their importance through the mobilization of a committed group. 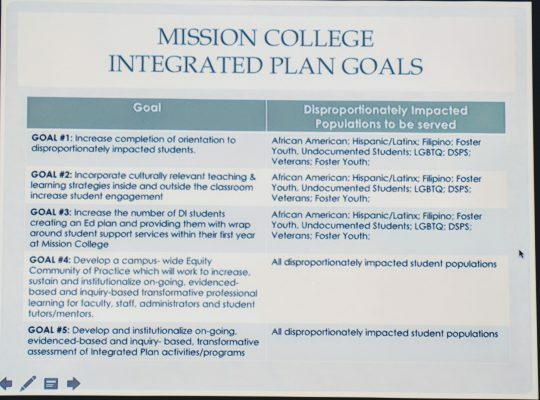 Mission College (Sarah, Marina, and Connor) start their presentation on their campus change. Students are at the table, not on the table. 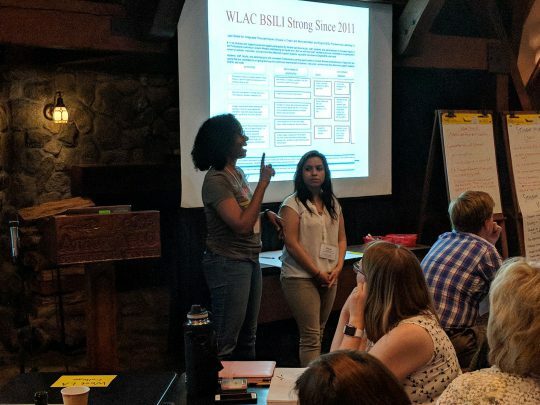 West LA faculty, Claire and Leslie, discuss the history of WLAC at BSILI and their development of professional learning. Rebecca giving the gospel of how to find who and what you need to accomplish your goals. Read (skim) “Mapping Change” article (in binders). What professional learning is needed to support your efforts to make this change? Why is this professional learning critical for that change?